This being summer, I decided to use up some mill end yarns I bought years ago to weave light-weight blankets. These are woven of cotton and wool. 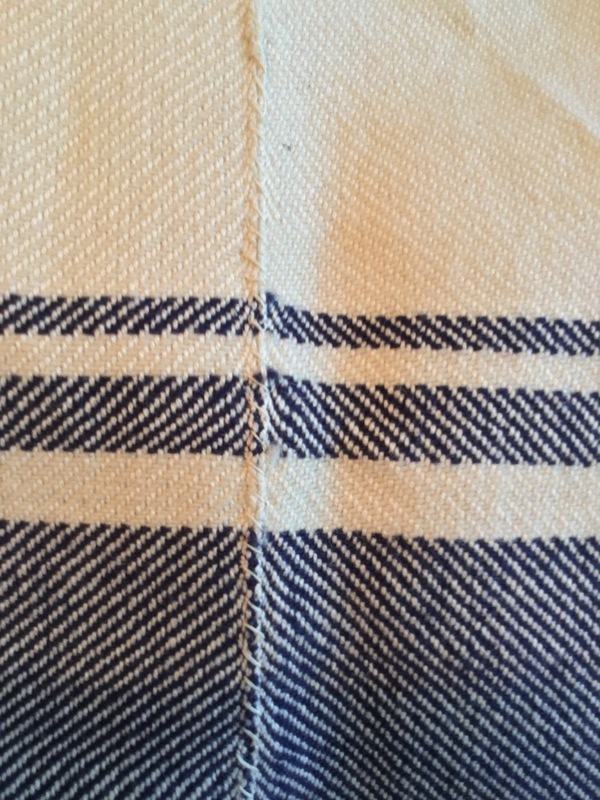 This type of blanket is typical of farmhouse production in the early to mid-nineteenth century. Commercially spun cotton became available in the mid 1790s. 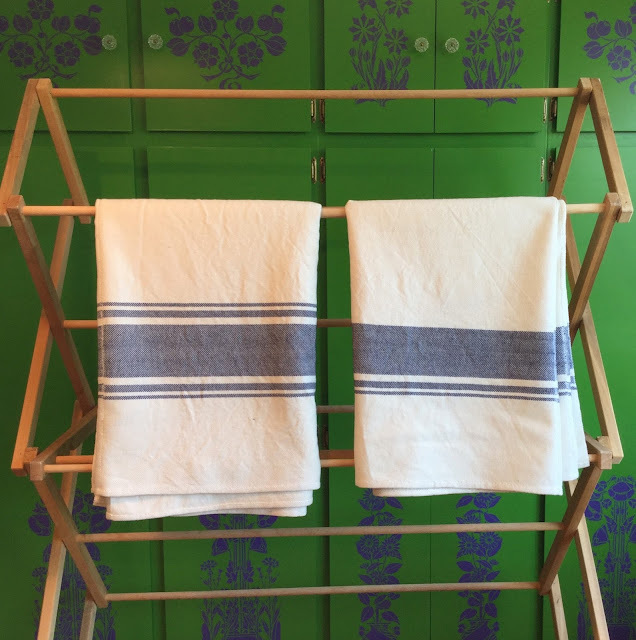 Home looms typically accommodated widths no greater than about 45 inches, so blankets and sheets were made up of multiple widths that were then seamed together. The loom I'm using for the blankets will weave 36 inches wide. 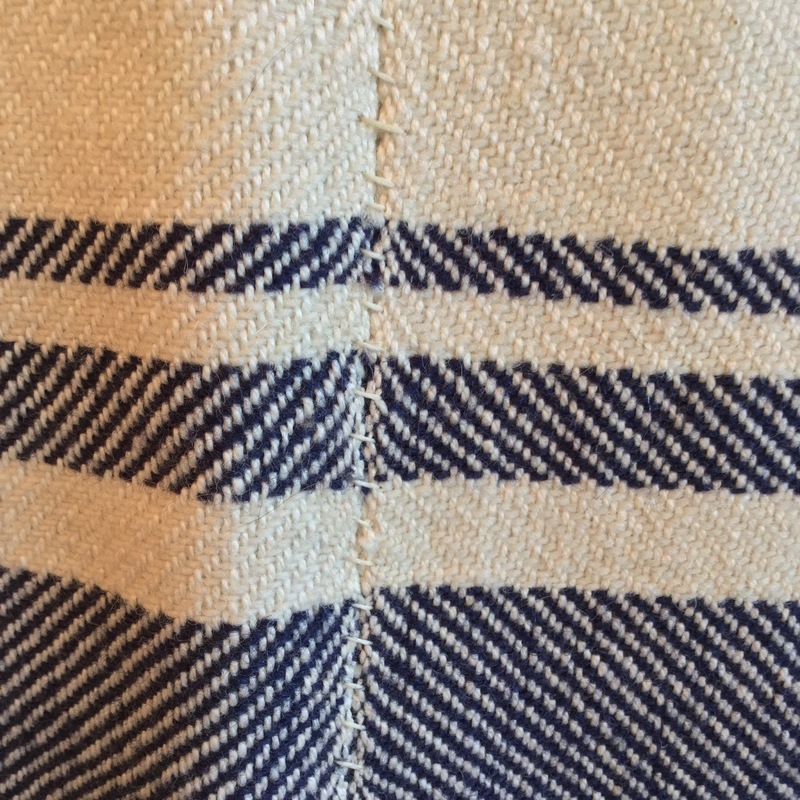 Once taken off the loom and washed in plenty of soap suds and hot water, the blankets were cut and the edges of two widths were loosely whipped together, then opened out. and pressed. This is the wrong side. This is the right side after pressing.